Scarlet oak tree (Quercus coccinea); Rock Creek Park, Washington, DC, USA. Photo by Katja Schulz/Flickr (Use Permitted with Attribution). 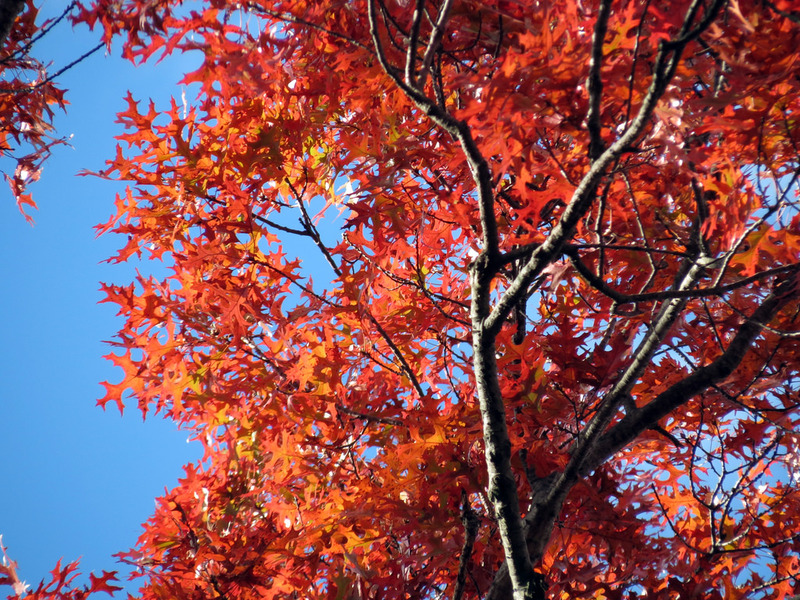 A rapid-growing tree of the eastern United States, the scarlet oak tree (also called black oak, red oak, or Spanish oak) is best known for the magnificent, brilliant red color of its autumn leaves. Scarlet oak is also a popular landscape choice because it's tolerant of drought, poor soil conditions, and wind.